I would never be where I am today without the amazing support from my friends and family, and so I want to give back to other young Australians who might not have the same opportunity. I hope that my story inspires them to achieve their dreams. I was successfully competing in '3 star' events across the country at only 15 years old; and was a pre-requisite for the elite squads. In September 2010 a horrific horse riding accident turned my world upside down. I spent nine days in an induced coma, with a lacerated liver, fractured scapula, bruising and internal bleeding in the brain, a perforated lung and partial paralysis down one side of my body. I have been permanently affected by the accident and suffer from short-term memory loss and processing functions, speech difficulty, impaired vision, loss of movement and some feeling on my right side and continual spasms. Doctors told me never to ride again, but that was never an option for me, as I never wanted to give up on my dream of representing Australia at the Olympics in equestrian events. 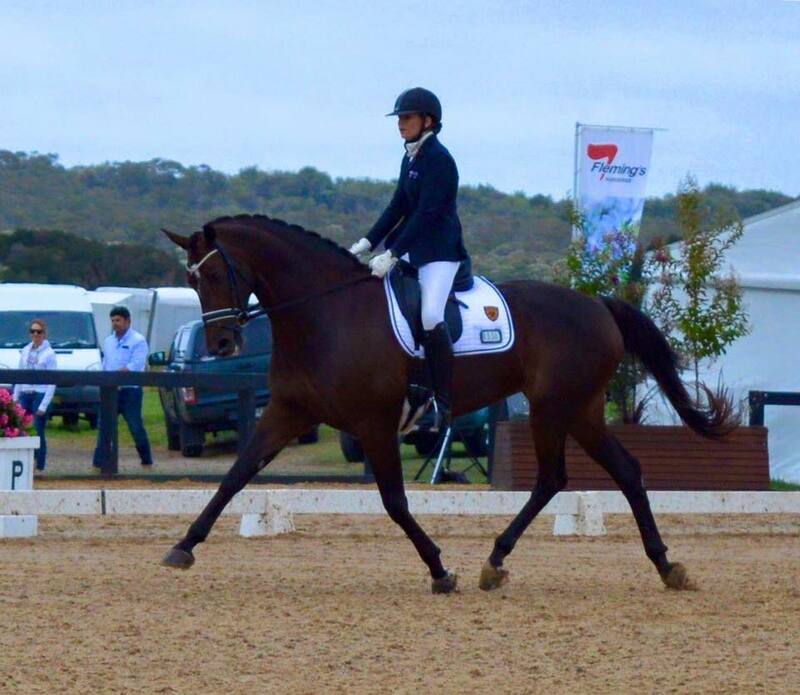 I now compete as a Grade 3 para-equestrian and I was the only Queenslander to be a member of the Australian Team at the World Equestrian Games in Dressage for 2014. I am training for the selections currently within Australia and Europe, which if successful will see me achieve my goal of representing Australia in equestrian dressage events at the 2016 Paralympic Games in Rio de Janeiro, Brazil. I was voted Queensland Para Equestrian of the year for 2012/2013 & 2014, and in 2014 my gorgeous horse, HP Comedian won Queensland horse of the year. I am proud to say with two qualifying compeitions completed I am on my way to achieving my ultimate dream. The Chelsea Project is a fundraising program focused on raising the much-needed funds to support Chelsea, the Para-Olympic committee and her family in her Olympic goal. Whilst the equestrian sport is known to be expensive, the Olympic campaign is more than just ‘expensive’. It involves a staggering $250,000+ including travel, board and living expenses during a 6 month quarantine period, for not only Chelsea but also her horse, her coach and groom. To minimize the burden on her family and supporters, Chelsea is currently working with a committed team of friends and business partners to develop a fundraising campaign. But this campaign has a difference; it is one that will also give back to young Australians in Sport. This program invites young Australians who show promise in sport to nominate themselves, or their friends or family to be a Chelsea Project recipient. Recipients just need to be under the age of 18, show promise in sport, and have a barrier, physical, financial, medical, psychological, or other standing in the way of them achieving their dreams. Every 6 months Chelsea and a panel of qualified judges including coaches, sponsors and sporting representatives will come together for the difficult task of selecting the successful candidates for that round. News about the judging panel and the Chelsea Project recipients will be announced via our newsletter and on the website. So please….spread the word! The more we raise, the more children we can help. So please get involved in any way you can! We can’t wait to have you on board The Chelsea Project. My name is Lianna Young and I am 12 years old and love horse riding too. I hope my donation of $50 helps you get to the Paralympics and you enjoy the experience. Good luck.